This pristine Ranch has been completely remodeled. Everything is new: kitchen (counter-tops, cupboards, appliances, floor), bath (tub, sink, toilet, floor, shower), carpets, thermal windows, doors, fixtures, first floor laundry room, interior trim, electrical wiring, plumbing, insulation, molding, high efficiency furnace, mud room, 8x16' deck, shutters, driveway, roof and more! The interior and exterior are freshly painted, and a split rail fence was just added to the rear yard. You will feel like you just walked into a brand-new home. 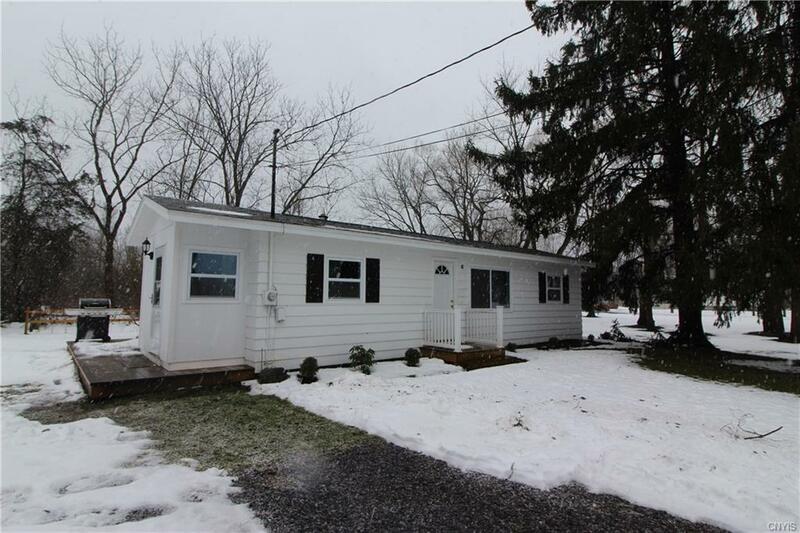 Property is located at the edge of the historic Erie Canal Village of Jordan and is just 10-20 minutes from Syracuse, Auburn, Baldwinsville and Skaneateles. You can enjoy Village conveniences in this country Â¼ acre lot setting - schedule a showing today! Directions To Property: Route 31 (Just East Of Village Of Jordan) To Sweeny To Railroad Street (18).